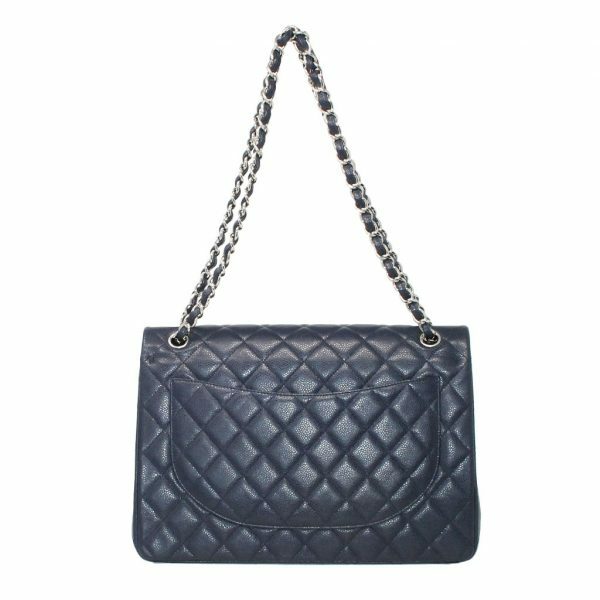 Condition You’re viewing this beautiful Chanel Navy Blue Caviar Maxi Double Flap Handbag. 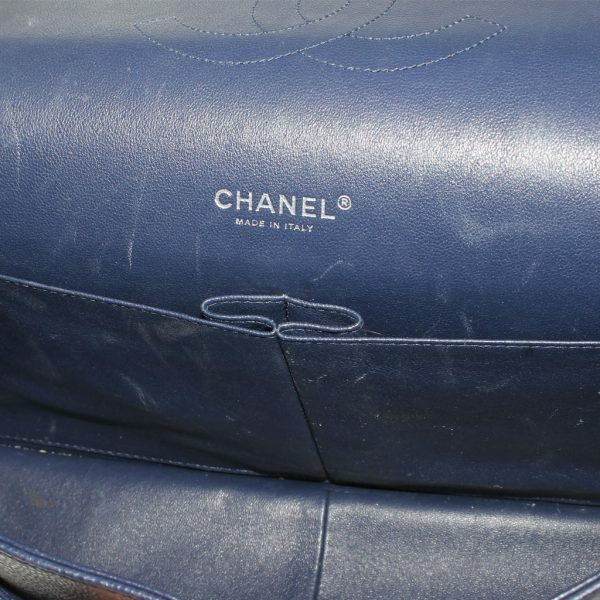 This handbag is in excellent condition however does show visible signs of wear. 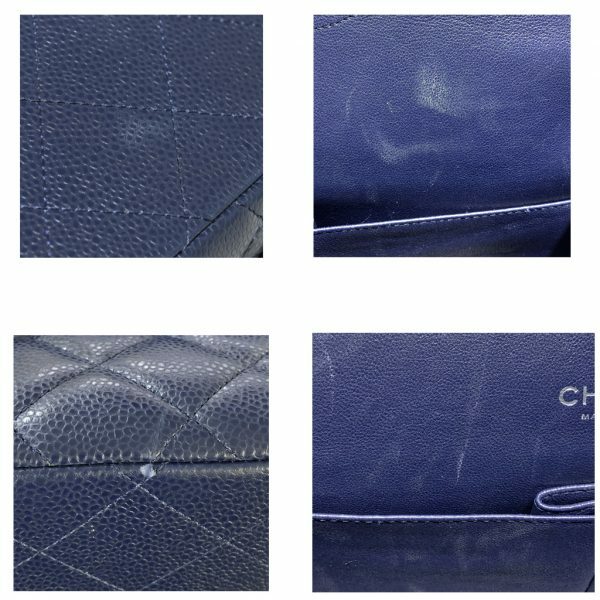 The exterior was handled with care, but there is one small scratch in the bottom of the purse which can be seen in the pictures listed. 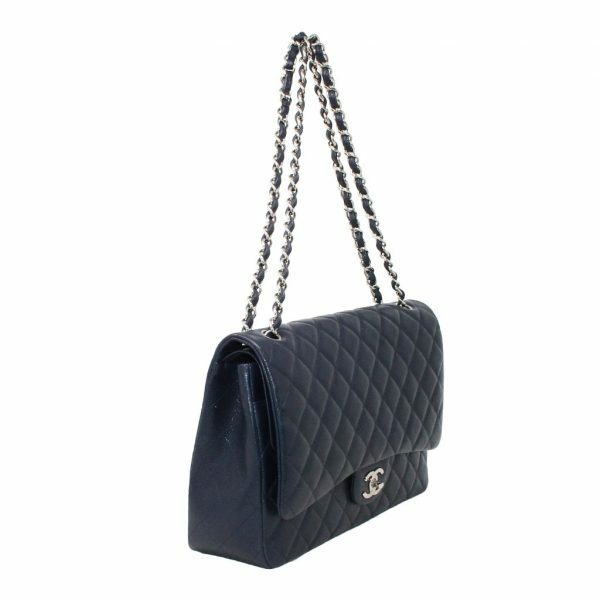 The Chanel interlocking “C” clasp shows some visible scuff marks but works properly. The bottom corners of this Chanel bag are in good condition but show some smoothing of the caviar leather. 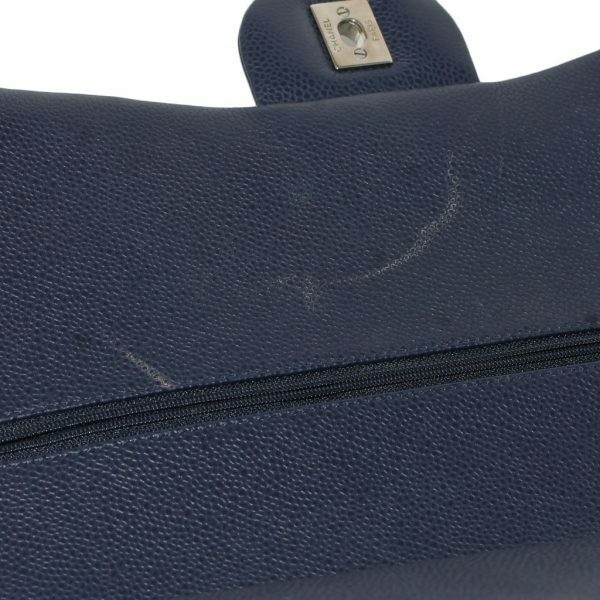 The bottom of the bag shows very faint make up stains which can also be seen in the pictures listed. 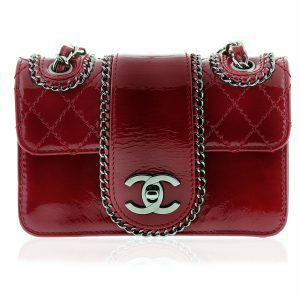 On the back of the purse you have one large pocket compartment which is in excellent condition. 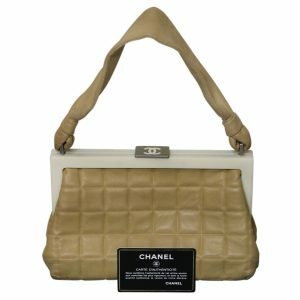 As you open the first flap, you will see visible make up stains and scratches on the back of the front flap near the zipper. 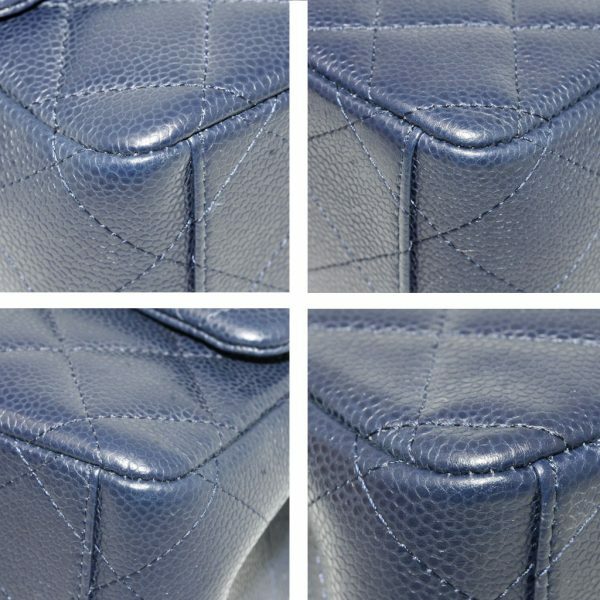 Atop the second flap, there are additional make up stains which can all be seen in the pictures listed. 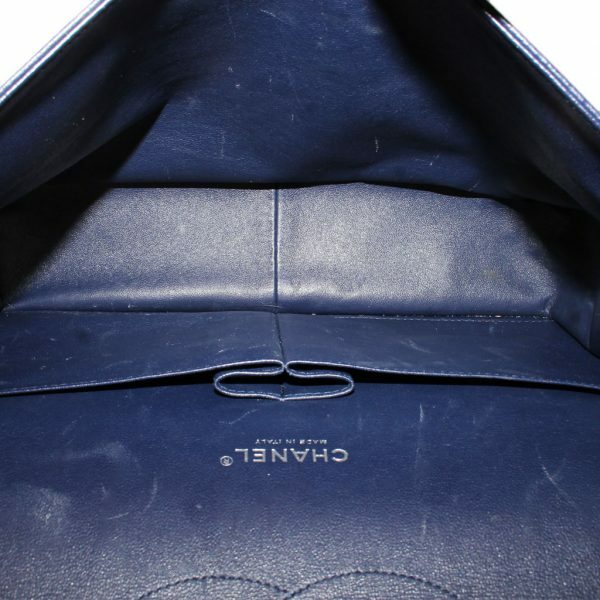 The blue lambskin leather interior lining shows visible make up stains, no foul odors, and no rips or tears. 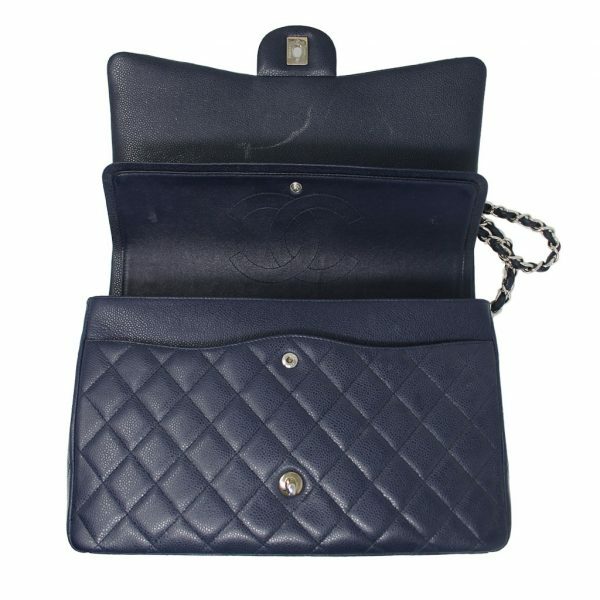 The front pocket compartment is in good condition but does show make up stains within the pocket. 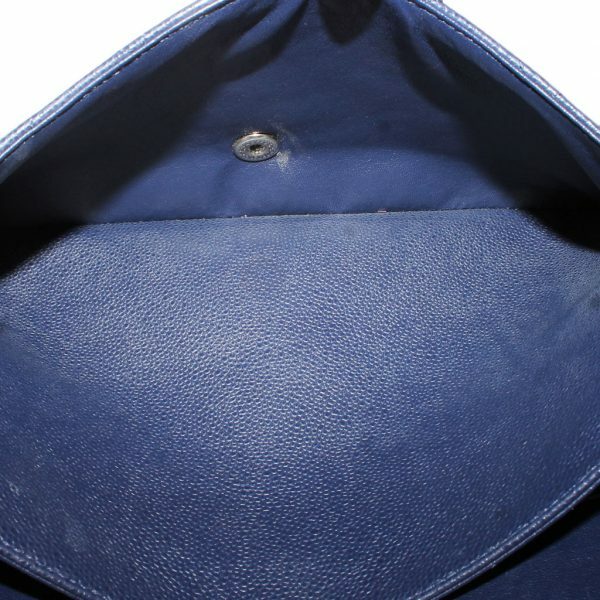 The main interior consists of two pockets, again with light visible make up stains. With a proper cleaning, it’s possible these make up stains can be removed. 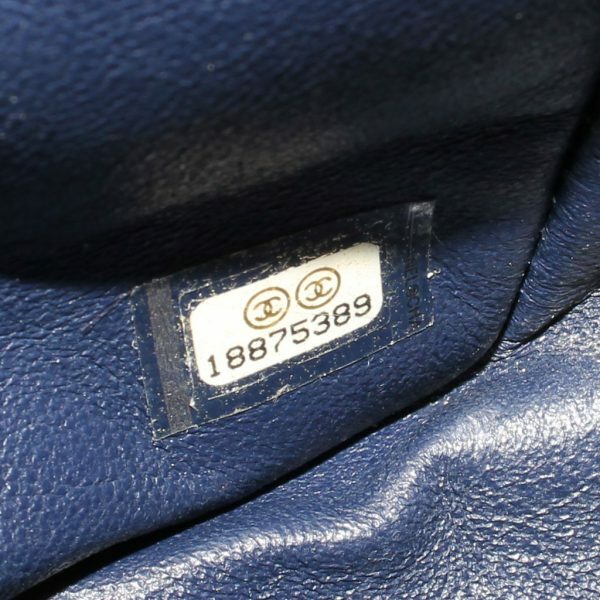 The date code is visible on the bottom corner of the main interior compartment. The braided leather and palladium chain can be worn as a full strap with a drop of 19″ long or pulled to be worn as a double strap with a drop of 11″ long. The strap is in excellent condition with no visible imperfections. 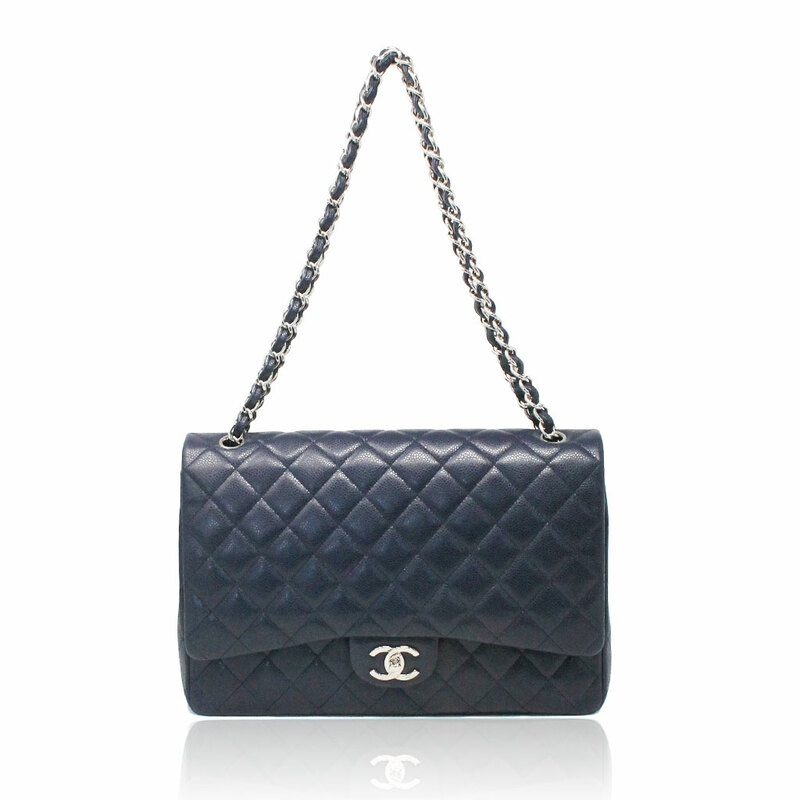 This Chanel purse retails for $6000, but you can purchase it now less than retail. 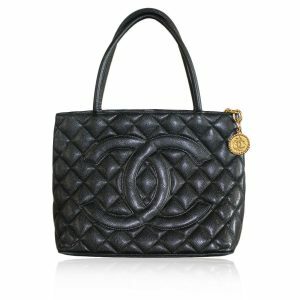 It does not come with authenticity card or dust bag. 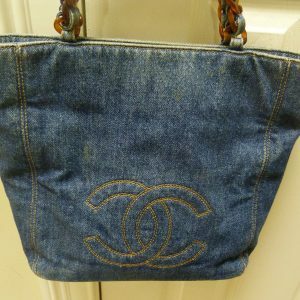 We guarantee this Chanel purse to be 100% authentic. For additional questions or pictures, please message us.